This welcoming Welsh country house is set in its own 50 acres, with rhododendron-lined pathways, riverside walks and a well-stocked trout lake. The Lake Country House Hotel grounds are a haven for wildlife… herons, dippers and kingfishers can often be seen skimming over the river. There are resident badgers in the wood, and swans and waterfowl abound. Overlooking these lovely surroundings, the hotel’s airy rooms are filled with antiques, paintings and fresh flowers. £99 per person offer includes a homemade cream tea on arrival followed by a gourmet four course evening meal, full Welsh breakfast, use of the spa facilities (swimming pool, sauna, hot tub and gym) and an upgrade to a suite. Valid for Sunday nights until the 29th September 2013. Excluding bank holiday weekends. Upgrade to suite subject to availability on arrival. Stay 2 nights Dinner, Bed and Breakfast and get the third nights bed and breakfast free. 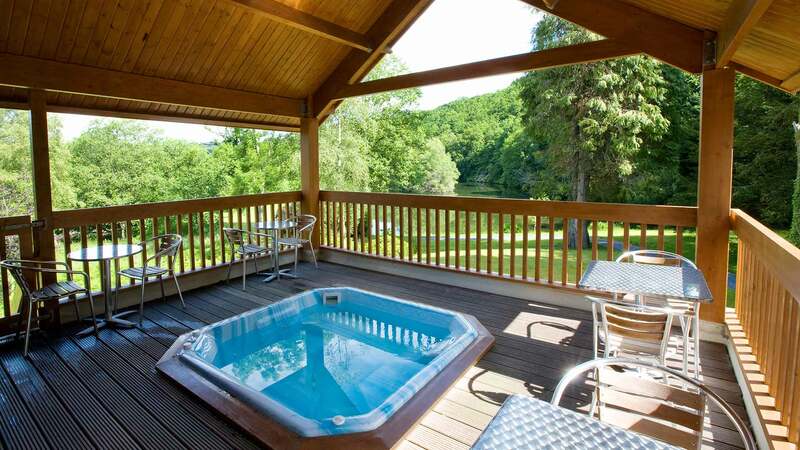 From £490 for 3 nights, based on two people sharing a double or twin room. Extra Nights can be added for £50 per person inclusive of bed and breakfast. Spa break only available Monday, Tuesday, Wednesday and Thursdays and subject to availability.